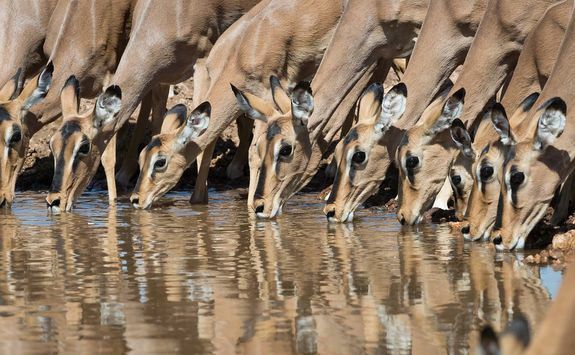 Namibia's stark beauty is a reminder that even in the harshest of physical landscapes, wildlife and people adapt. 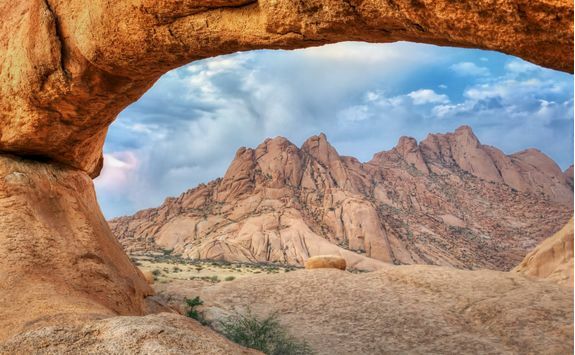 This 15-day tour showcases the best of this fascinating country. 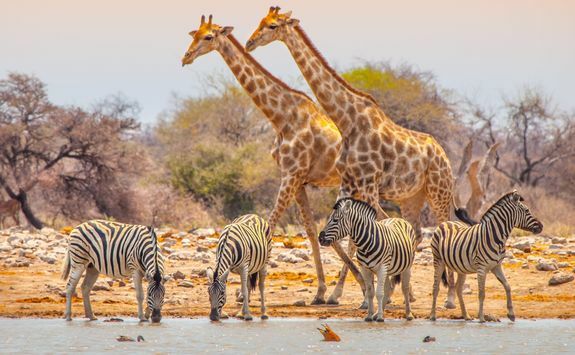 From the majesty of Sossusvlei's towering dunes and clay pans to the wildlife crowding Etosha's watering holes, this is a trip of a lifetime. 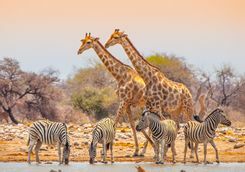 Depart London this evening on an eleven-hour overnight flight to Johannesburg in South Africa, connecting on to the Namibian capital Windhoek. 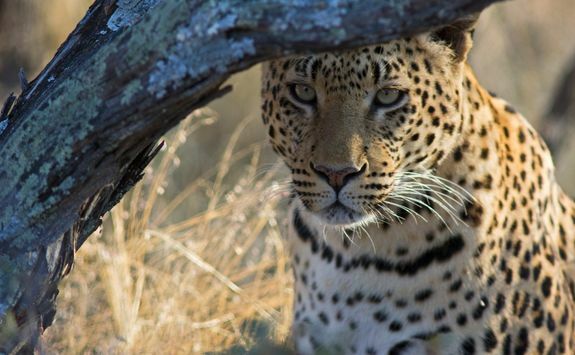 Arriving into Johannesburg this morning you will connect across to a two-hour flight to Windhoek. 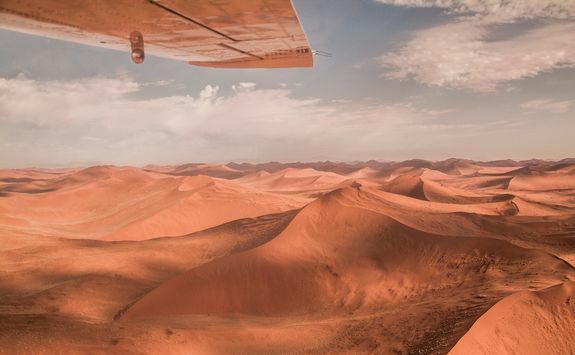 You'll transfer on to a light aircraft flight direct to your luxury lodge in Sossusvlei. 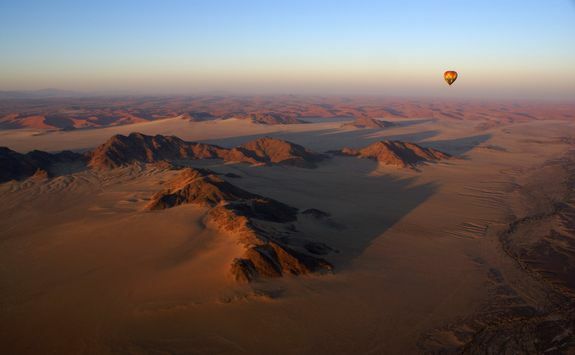 The flight will allow you your first glimpse of the breathtaking Namibian landscape below. 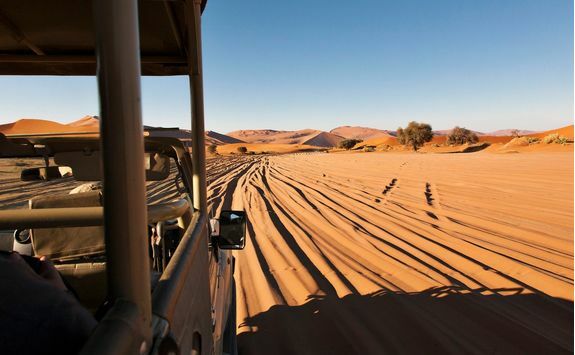 On arrival at the bush airstrip, you will be transferred by 4x4 to your luxury desert accommodation where you can settle in for the rest of the day, ready to explore the area in the morning. 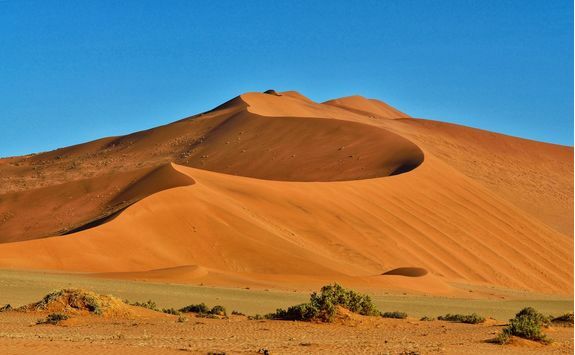 The dunes and desert of Sossusvlei make this arguably the most breathtaking scenery in all of Namibia. 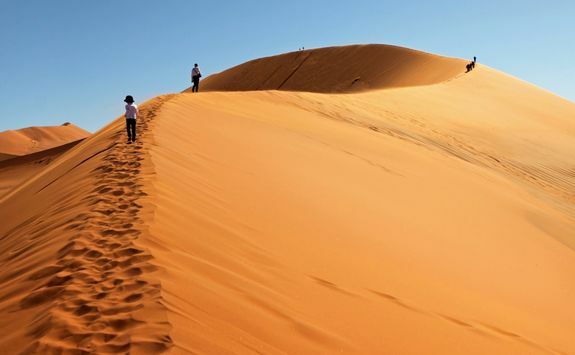 The area is a vast white salt and clay pan, flanked with towering burnt orange dunes. 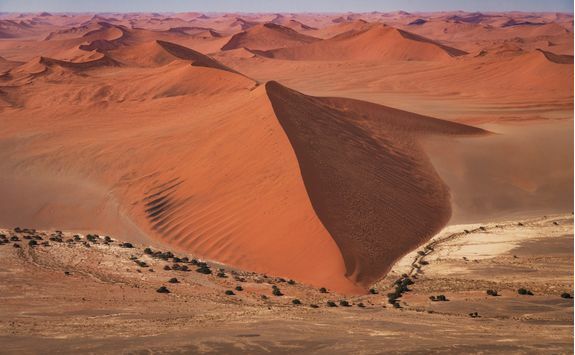 If it is not too hot, climb these same dunes of Sossusvlei and enjoy a 360° panorama of the desert beyond. 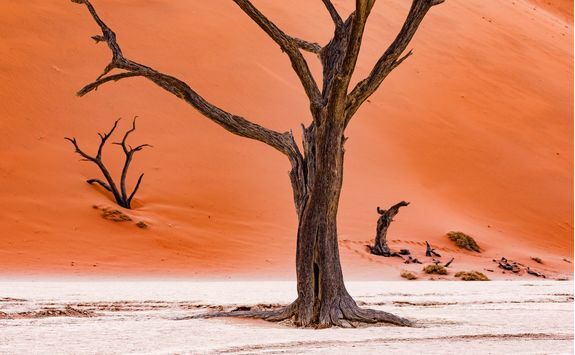 A short hike away you'll find the eerie Dead Vlei. 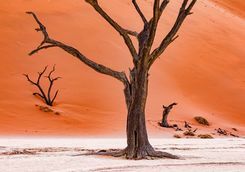 Its image has graced many a glossy magazine cover, with the skeletal acacia trees that dot the desiccated pan providing foreground interest. 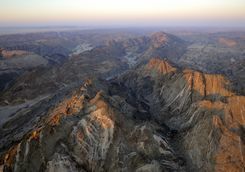 Later, drive to nearby Sesriem Canyon. 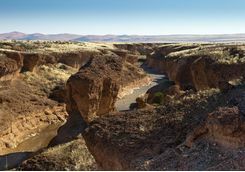 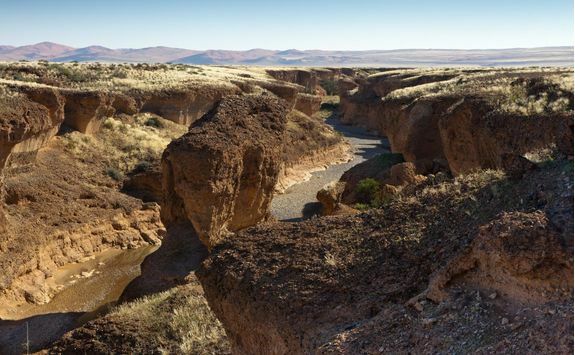 This two-mile-long gorge was originally carved by water and is one of Namibia's most impressive geological landforms. 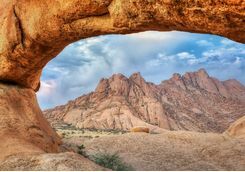 Hike on foot to experience its rugged beauty before returning to your desert lodge. 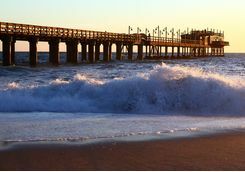 Your flight will deliver you to the coastal town of Swakopmund today. 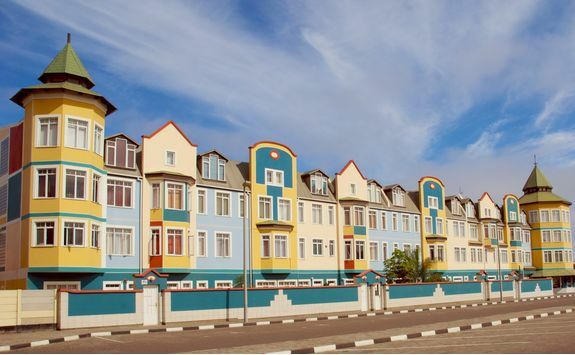 This isolated settlement has a Germanic feel to it, a nod to its colonial past. 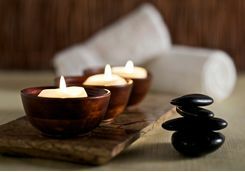 Settle in to your luxury guesthouse accommodation, your base for the next two nights. 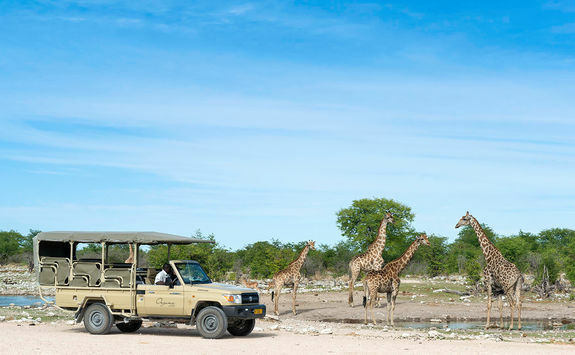 A well-equipped 4x4, with spare wheel just in case, will be delivered to you at the guesthouse. 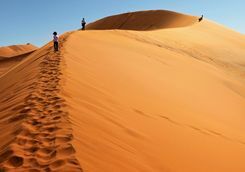 Your package includes first aid kit, cell phone and Medivac insurance to ensure you've no concerns about safety as you set off to explore one of Africa's most fascinating countries. 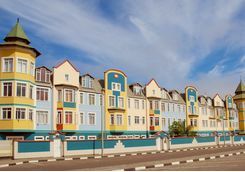 If you're keen to test out Namibia's roads, it's a relatively short drive to the nearby town of Walvis Bay. 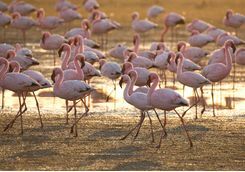 There, you could take a boat trip to Pelican Point, home to a large Cape fur seal colony as well as flamingos and the pelicans that the gave the place its name. 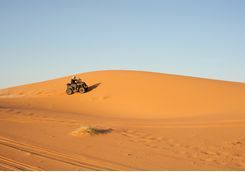 One of the most popular activities in the Swakopmund area is a quad bike ride across the dunes. 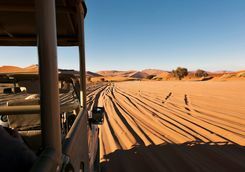 This thrilling excursion will get the adrenaline racing as you traverse the sands of the Namib Desert in a roller coaster ride that's enormous fun. 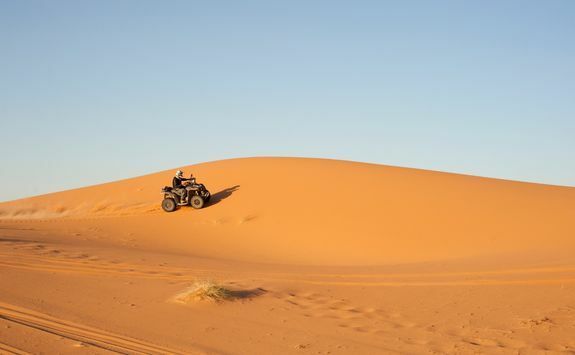 It's possible to add sandboarding for the ultimate thrill ride. 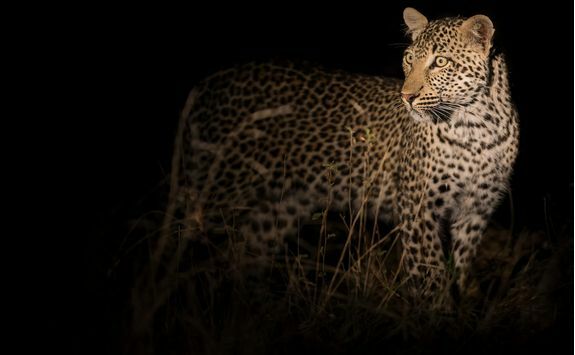 This evening, another treat lies in store. 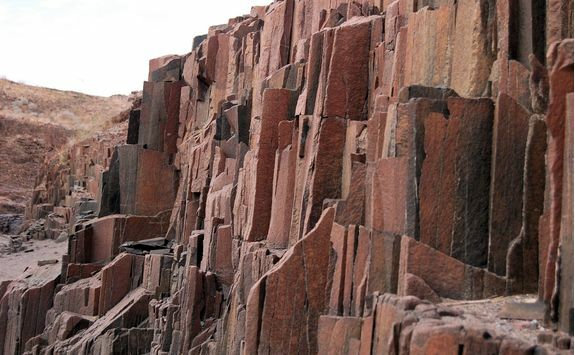 Take a scenic flight over Conception Bay. 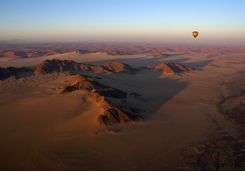 Heading east, you'll fly over a moonscape and along the route of the Kuiseb riverbed at the margin of the sand dunes. 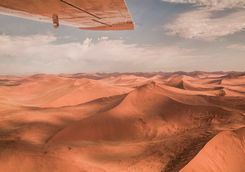 Reaching Conception Bay, you'll see more colonies of Cape fur seals alongside shipwrecks and birdlife from the air. 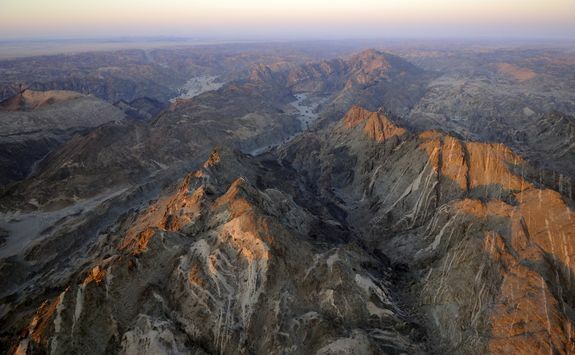 On the ground, this particular stretch of coastline is a restricted area due to diamond mines found here. 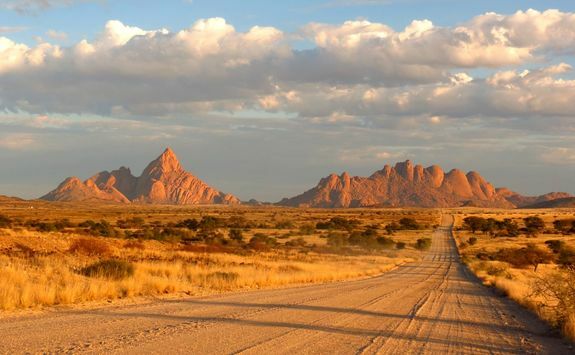 This morning you'll drive north into the mountainous region known as Damaraland. 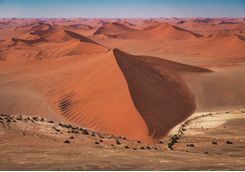 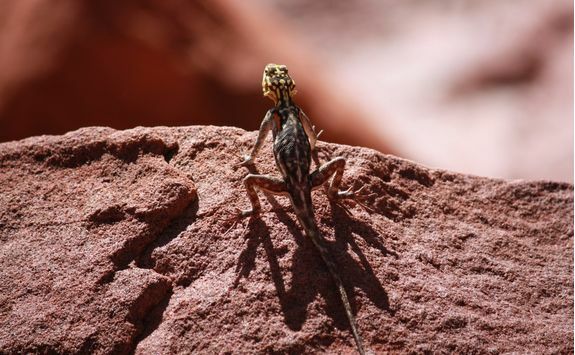 This remote area is known for its rock art, as well as Brandberg, Namibia's highest mountain and a liberal scattering of wildlife that manage to survive in this barren landscape. 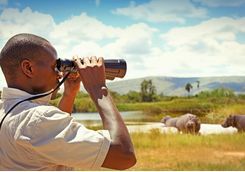 Take your time so you can savour the scenic views from your car as you make your way to your comfortable lodge accommodation. 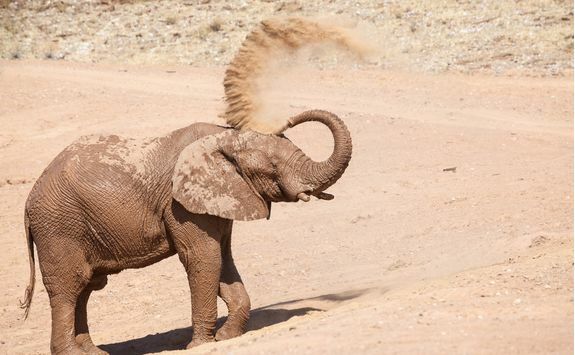 Begin your day with an extended wildlife safari in search of desert-adapted elephants. 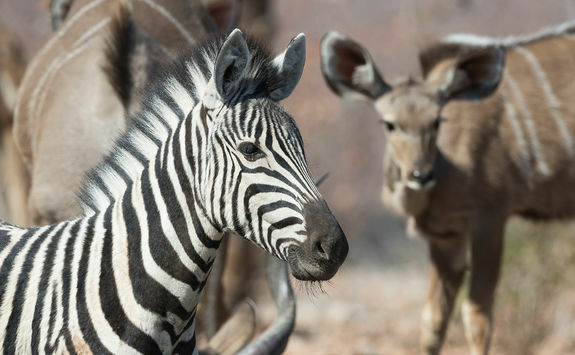 Rhino, zebra and lion also manage to eke out an existence in this barren country. 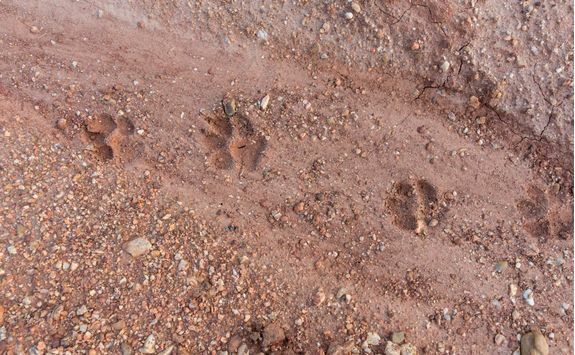 This afternoon, you'll join your guide to uncover evidence of the area's oldest inhabitants. 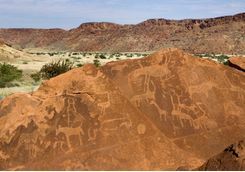 Twyfelfontein's ancient rock engravings are an easy drive from Mowani. 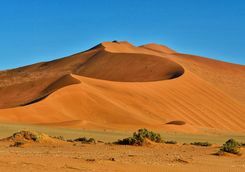 Hunter gatherers are thought to have inhabited the area some 6000 years ago, followed by the Khoikhoi people. 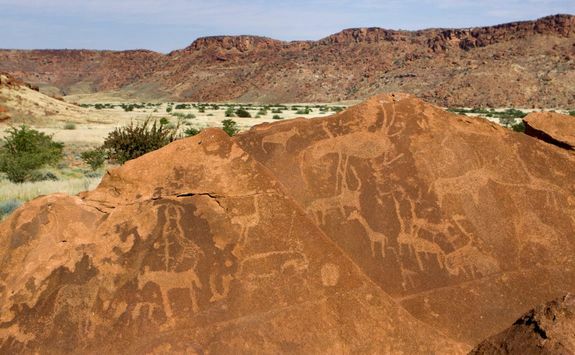 The rock art that survives forms the country's first UNESCO World Heritage Site. 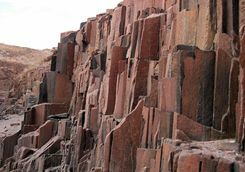 A short drive away you'll discover the rock formation called the Organ Pipes, their distinctive shape a result of columnar basalt extrusions. 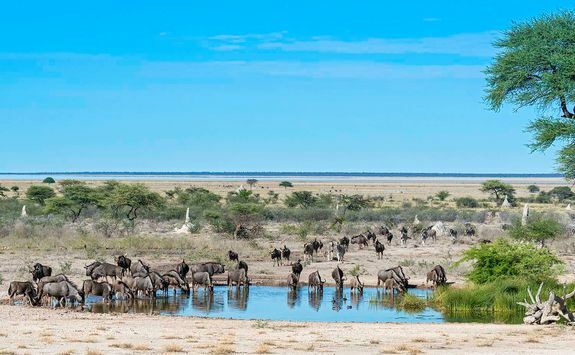 This morning you'll depart from Mowani and set off in the direction of Etosha, perhaps Namibia's most famous national park where you can stay at one of our favourite private game reserve, whose accommodation overlooks the watering holes and grazing lands beyond the lodge. 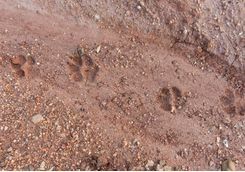 Alternatively, there are numerous options to stay within the park boundaries. 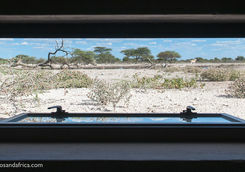 In the winter dry season, animals crowd the small lakes that dot the vast salt pan. 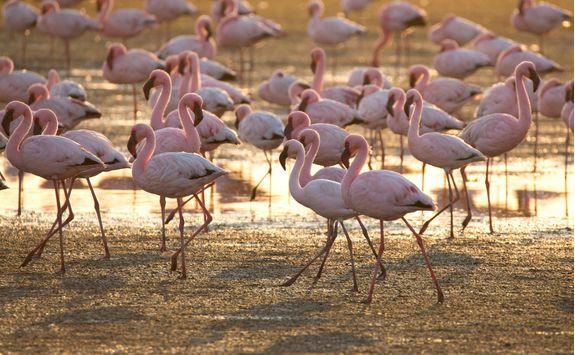 In summer, rainfall produces lush vegetation; this is the best time to visit if you're a keen ornithologist. 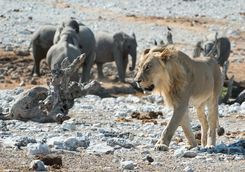 In all, over a hundred different species call Etosha home, including lions, leopards, cheetahs, wildebeests, hyenas, zebras, rhinos and elephants. 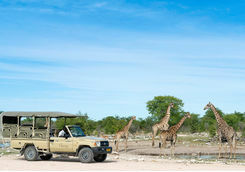 Today, there'll be a chance to participate in a wildlife safari to Etosha. 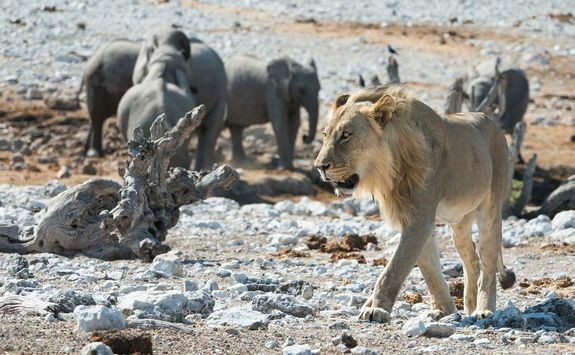 Big Five seekers can tick off four of the five species - only buffalo aren't found here. 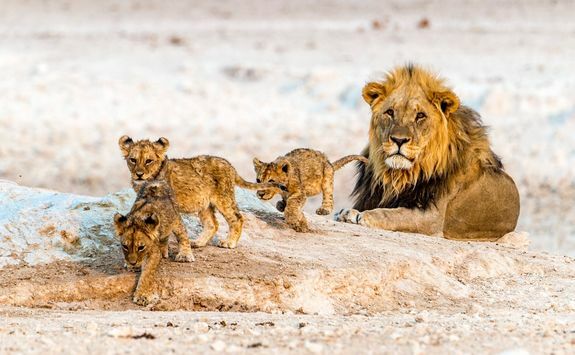 The 500-strong population of lions makes it possible you'll see one of these magnificent beasts. 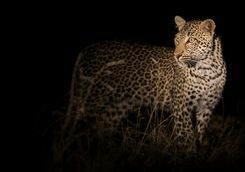 To maximise your chances of a sighting, time your safari for dawn or dusk when the animals are most active. 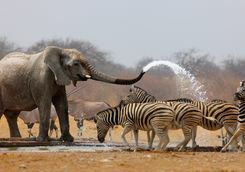 Elephants and zebras are abundant, with multiple sightings almost certain. 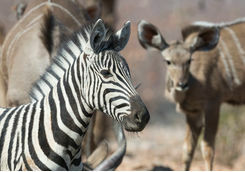 Return to your lodge this evening for a tasty dinner and time spent sitting under the stars in front of a roaring fire. 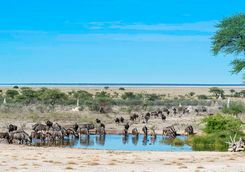 A four hour drive east sees you in the vicinity of Onguma Private Game Reserve, located just outside Etosha National Park. 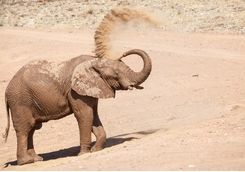 One of the highlights of a stay here is the opportunity to spend time in its Onkolo Hide. 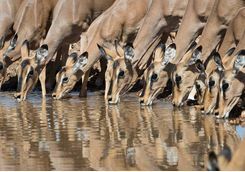 From this privileged vantage point, you'll be able to watch unseen as animals come to drink at the watering hole, undisturbed. 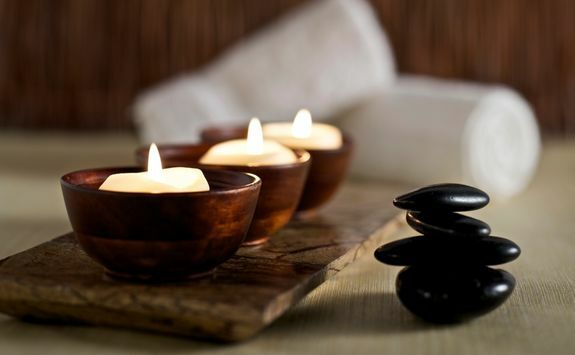 Later, relax and enjoy a massage in the lodge's spa - after today's long drive, it's the perfect way to unwind. 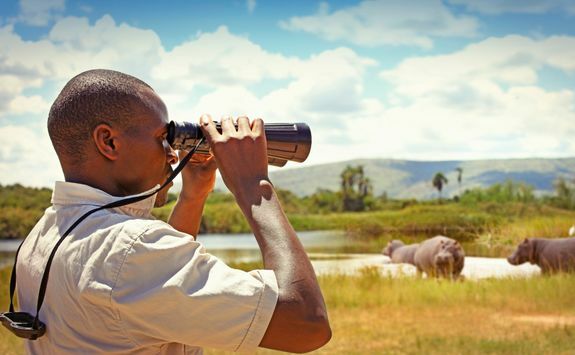 At Onguma, it's also possible to join experienced rangers for an interpretative bush walk. 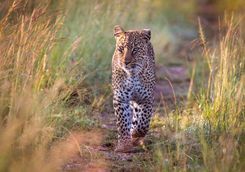 Encountering animals on foot is a very special experience and one to treasure; participants will learn how to identify creatures from their tracks and scent, known as spoor. 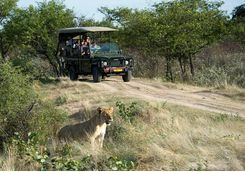 A full briefing will be given to ensure all participants understand how to behave and keep safe in the company of wild animals. 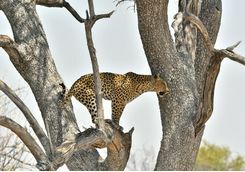 Approximately four hours south of Onguma lies Okonjima Nature Reserve, home to the AfriCat Foundation. 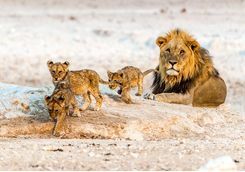 Established as a welfare organisation and a non-profit in the early 1990s, the Foundation is now a leading player in the fight to protect Namibia's wildlife. 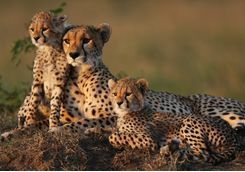 Its focus is on conserving large mammals such as leopard, hyena and most famously, cheetah. 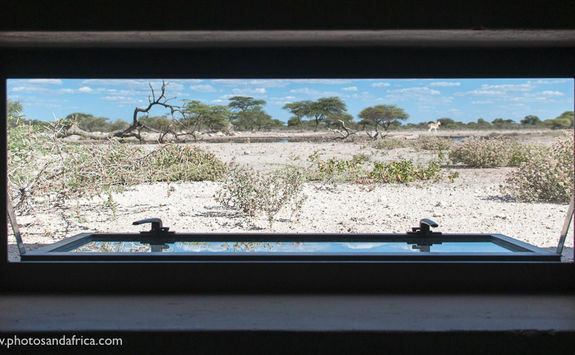 Education and research are at the heart of what Okonjima does. 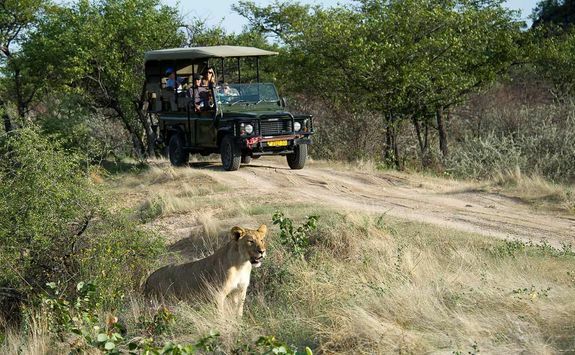 Settle in and then perhaps take a self-guided hiking trail to see some of the habituated wildlife on the reserve. 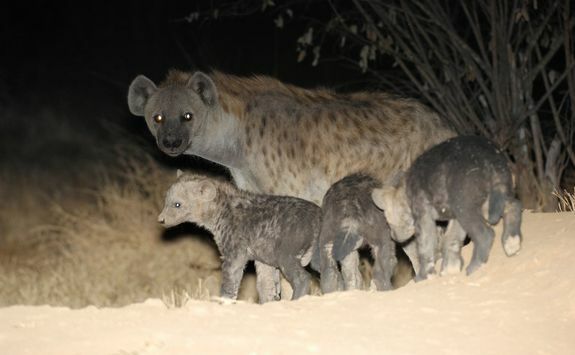 An important part of Okonjima's work is its rehabilitation of carnivores. 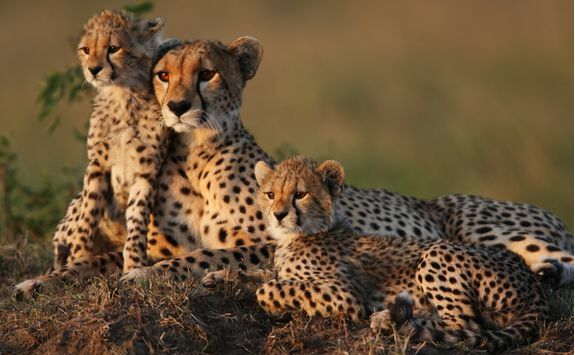 Some of the cheetahs rescued by AfriCat are orphans or were rescued at a young age. 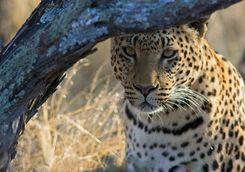 As such, they aren't equipped with the hunting skills necessary for a full release back to the wild, and so they are released into the safe confines of the AfriCat reserve. 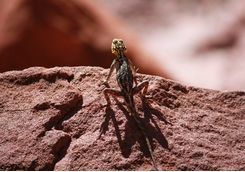 Fitted with radio collars, these creatures are regularly monitored so that they are well looked after. 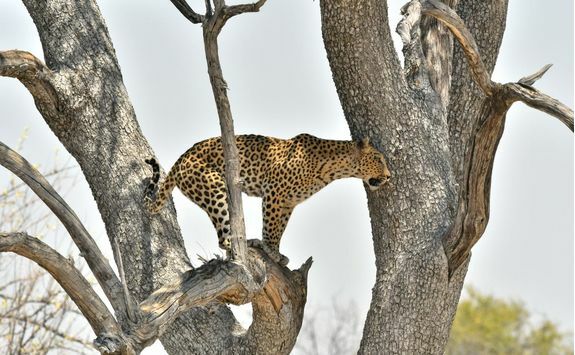 Join AfriCat's trained rangers on a guided walk to see these big cats up close. 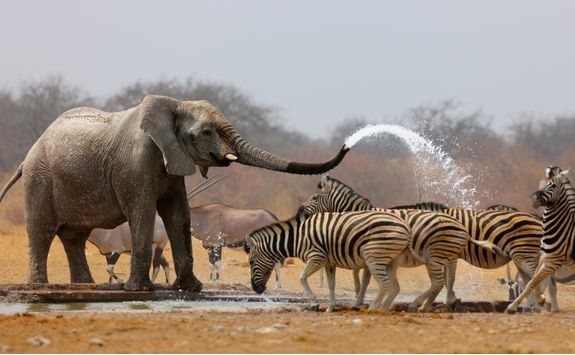 Though they are habituated to human contact, rangers and visitors will stay at a safe distance. 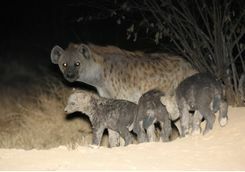 Other activities on offer at Okonjima include nocturnal safaris and bushmen walks. 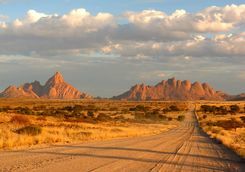 Drive yourselves south to Windhoek. 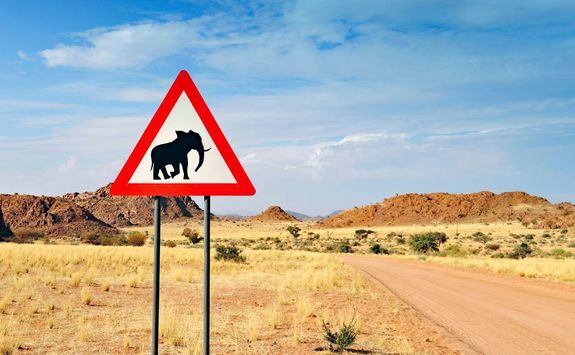 It's around a two-and-a-half-hour drive so there'll be no need to worry about missed connections. 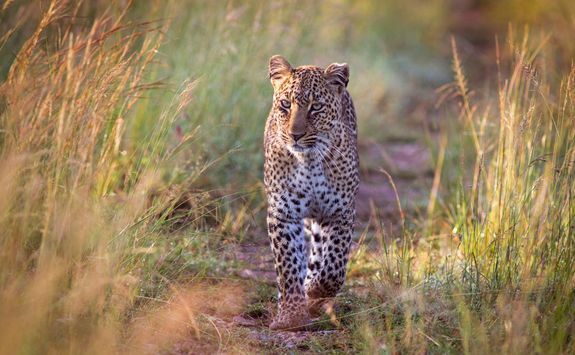 Flights back to London via Johannesburg tend to depart in the late afternoon or early evening. 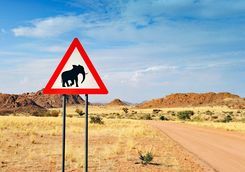 Drop off the rental car after a leisurely drive and check in for your two-hour flight from Windhoek to Johannesburg and onward overnight flight home, which takes 11 hours. 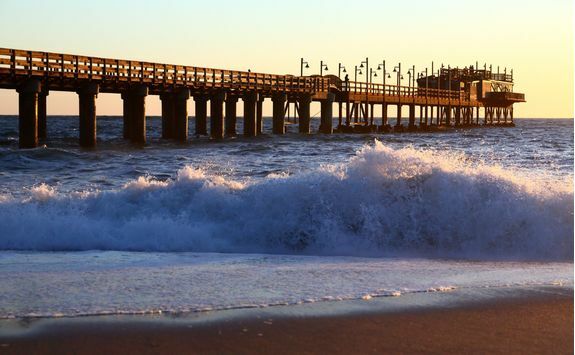 Your overnight flight lands in London this morning.